Hidden getaway right in the heart of Midtown Phoenix, Great Development opportunity or for someone looking for that private gem to call home while living the city life. With an abundance of parking space this would work great for your R.V or small business needs. 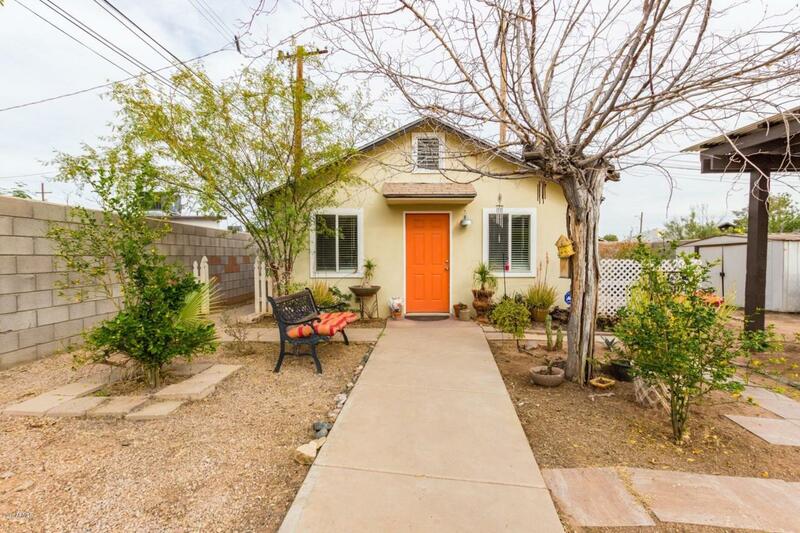 Live in this little cottage style house while you build your dream home on this large lot located in an excellent, central midtown neighborhood. Near light rail, downtown, VA/Children's Hospital, Indian Steel Park - lake, dog park, walking trails, picnic and sports areas. Very quiet tucked away on this Cul de sac. Walk to Starbucks, CVS Pharmacy, and Hospital's. Beautiful Tiled floors, tiled shower, granite countertops. Unique and classic small cottage style home that is priced to sell! !